Audrey Allure: "I Shot Andy Warhol"
I watched this film this afternoon, and I definitely recommend it. This movie was released in 1996, based on a true story, and it stars Lili Taylor who plays Valerie Solanas who was a feminist in the 60s and author of Scum Manifesto. She wanted Andy Warhol to produce the screenplay, but he kept ignoring her. Eventually she shot Andy Warhol. Candy Darling: "I have always found that socially unacceptable people make the best lovers because they are more sensitive." 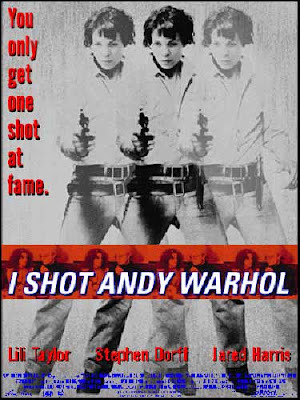 i wanna watch this, i love andy warhol!